SEGA's popular blue dude with a 'tude, Sonic the Hedgehog, blasts his way onto the Nintendo® DSTM and takes high-speed action gaming to a whole new level. 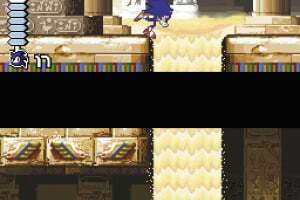 The fastest hedgehog in the world is now pairing up with a mysterious character named Blaze the Cat. This dynamic duo heads out in search of the powerful and dangerous Sol Emeralds to ensure that they do not fall into the wrong hands. 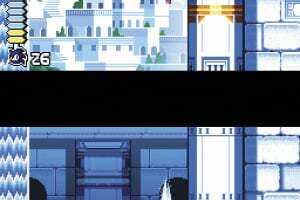 In their quest, Sonic and Blaze must battle all-new enemies, and as they do, ripple effects will change the events of their worlds' inhabitants. 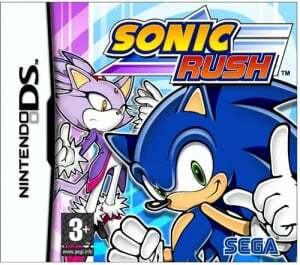 Sonic Rush takes full advantage of the dual screens on the Nintendo DS system to deliver an action-packed adventure with dizzying dives, near-vertical curves, extreme jumps, brain-twisting loops and more! 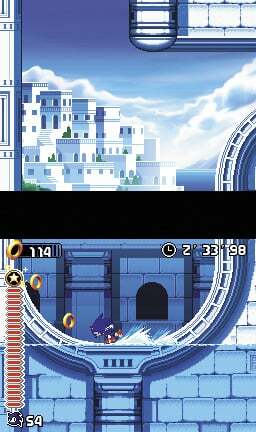 This 2D game features 3D visual effects, which give Sonic Rush a totally unique look. Sonic himself is also modeled in full 3D. Fully utilizes Dual Screens. 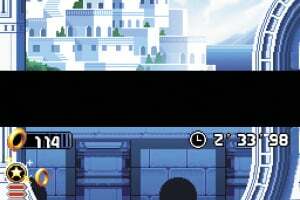 Long steep dives, super high jumps, huge loops and more look spectacular on the Nintendo DS. 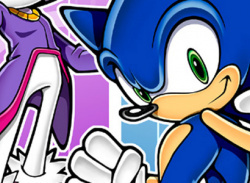 Sonic pairs up with a new female lead. 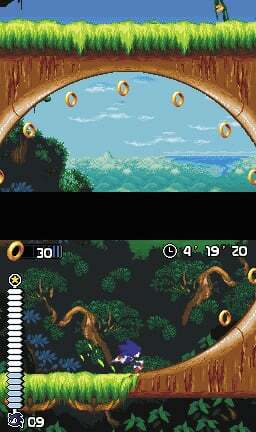 Play as either Sonic the Hedgehog or Blaze the Cat – a queen from a different world and protector of the 'Sol Emeralds'. Parallel universes collide. 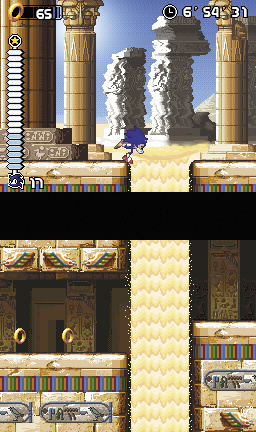 Journey with Sonic and Blaze on two separate adventures that intertwine. The storylines and outcomes will differ, keeping you in suspense while doubling up on the fun! does this game have any multiplayer? 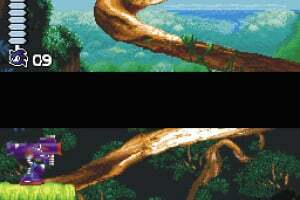 I've played Sonic Colors on the DS. 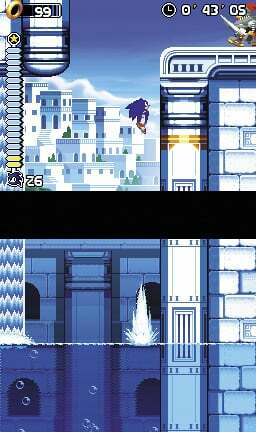 When I saw this yesterday, I was like in my head: "Whoa, that seems familiar, very familiar..." And then it struck me, Sega got Sonic Colors (DS) gameplay from their previous DS games for Sonic. Though I can't find my DS card for Sonic Colors and I don't know how I lost it. 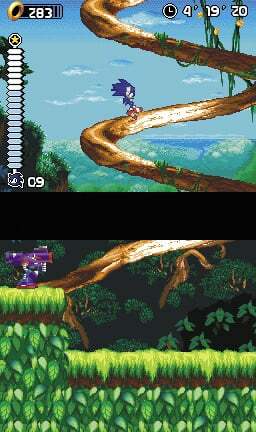 Anyways, after looking at this, I think when I played Sonic Colors, It gave me a tutorial to the gameplay to the Sonic Rush games. 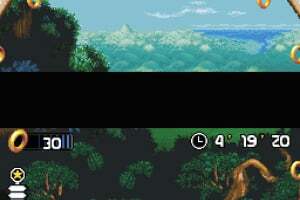 I don't mean literally about the tutorial thing.